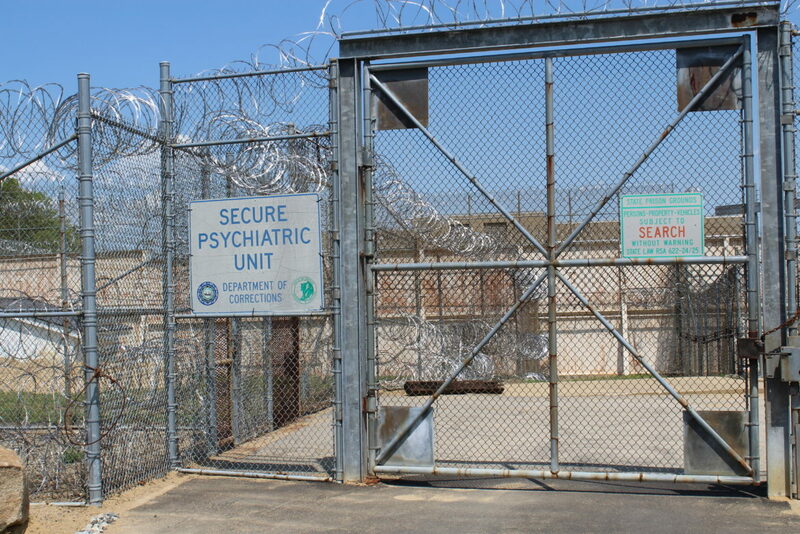 Secure Psychiatric Unit at the men's prison in Concord. Gov. Chris Sununu proposed $26 million to build a new forensic unit at the New Hampshire Hospital, but House Finance removed that from its proposed budget. CONCORD — It is all over but the voting. The House Finance Committee Tuesday finished its work on its version of the next biennium’s operating budget and will take a final vote on the plan Wednesday. The proposed House budget is about $300 million more than Gov. Chris Sununu’s $3.1 billion two-year plan and spends much of the additional money on education and implementing sections of the state’s new metal health plan. The House budget does not include a new $26 million building on New Hampshire State Hospital grounds replacing the secure psychiatric unit housed at the Men’s State Prison in Concord nor additional construction Sununu proposed for a new facility to house children now at the state hospital, nor millions in local projects in a couple of dozen communities that critics said should have been done through the capital budget process. The House also refused to eliminate the Education Trust Fund as Sununu proposed and substituted a legislative family and medical leave plan approved by both the House and Senate for the governor’s proposal for state workers in New Hampshire and Vermont. Sununu had proposed putting $15 million in the state’s rainy day fund, bringing the total to a record $137 million, but the House plan would put $5 million in the state’s savings account. But the House did adopt most of the governor’s plan for sports betting. In a statement, Sununu defended his plan to use one-time surplus funds for one-time projects instead of trying to expand government programs and urged legislators to reconsider their plan, which they did not. Sununu focused on the committee decision to appoint an advisory council to develop plans to close the secure psychiatric unit and move the patients to another facility. However, Democrats on the committee said more details are needed before they could support spending $26 million on the new building. The House budget plan would create 40 transitional housing beds to help address the backlog of people with severe mental health issues waiting in hospital emergency rooms for a bed to open at the state hospital or community mental health program. The finance committee budget also supports early intervention programs to treat mental illness and a mobile crisis team for children and youth. The division also decided to add a dental benefit to the state Medicaid program, costing $2.5 million for the last six months of the next biennium. Committee members said the six months will give budget writers in the next legislature information to determine what the program would cost in the future. The committee also wants to increase staff for child protection and additional money for services for at-risk families and prevention. Other provisions would bring the state into compliance with the federal Families First Act and allow the state to collect a 50/50 match for services now fully funded by the state. House budget writers gave their blessing to spending an additional $165 million for state education funding aid to school districts largely paid for through a new capital gains tax. The House Finance Committee voted 13-9 down party lines — as it did on the presentations by its three divisions — to approve the work of its Division Two, which oversees the departments of safety, fish and game, transportation and education as well as the university and community college systems. The chair of Division Two, Rep. Susan Ford, D-Easton, said the division decided to return to a policy of fiscal capacity disparity grants to school districts that struggle to pay for education. She noted 68 percent of the land in the city is non-property tax paying, which means a small number of people are paying to keep the schools open. The disparity grants would be awarded based on the number of students on the free and reduced lunch program. Under the division proposal, an education funding commission would be created to study the current system and determine the current cost of an adequate education. The commission would have $500,000 to spend on experts to help with the study. “We view this as an intermediate plan to buy time until a long-term plan is developed by the commission,” Ford said. Committee member Rep. Werner Horn, R-Franklin, questioned using a capital gains tax for additional education funding, noting it is unreliable as it depends on someone selling something. If the tax only returns $50 million instead of $150 million as is the estimate, he noted, then $100 million would have to come from somewhere. The division ignored Gov. Chris Sununu’s proposal to eliminate the Education Trust Fund, which was established 20 years ago when lawmakers devised a new education funding plan to address the two Supreme Court decisions on the Claremont education funding lawsuit. But one committee member objected to the change. Rep. Kenneth Weyler, R-Kingston, said the problem with the Education Trust Fund is when it does have a surplus, the money cannot be spent on anything else. Most years the trust fund does not produce enough money and is supplemented with general fund money, but for the past few fiscal years the fund has had a surplus. The division also moved catastrophic special education funding, as well as technology tuition and transportation costs and building aid under the Education Trust Fund. The school building aid program would receive about $17 million more to cover five new building projects approved by the Department of Education, Ford said, noting the school building project moratorium is over. The House will vote on the budget April 11 and the House Finance Committee will hold a budget briefing for House members April 9. If the House approves the budget as expected, it will go to the Senate where its budget writers will craft their own plan. Senate and House negotiators have to reach a compromise by June 20. The current budget expires June 30.